ECO Mold Remediation provides safe, effective mold remediation and odor removal services to our home town Charlottesville, VA and surrounding areas including: Harrisonburg, Fredericksburg, Stafford, Stanton, and Lexington. Complete Services we offer to Residential and Office/Commercial clients alike are Mold Remediation or Mold Removal, Mold Testing, Mold Inspection, Mold and Mildew Cleaning, Odor Removal, Animal Urine Odor Removal, Smoke Odor Removal. We are eager to help Homeowners, Businesses, Home Inspectors, Property Managers, and Real Estate Agents investigate their property for mold infestation with a Free, No Commitments, Mold and Moisture Assessment. We will not harass you into signing a contract. We assume potential clients will get several recommendations for treatment. Thus, we want to stand out from the many with a very affordable plan to rid your dwelling of mold infestation. No scare tactics! No Pressure! Just the facts! 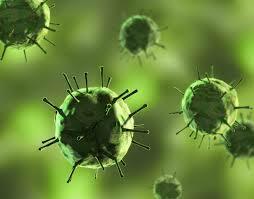 You are here because adverse reactions to possible mold infestation where you live or work is exacting a heavy toll. Mold Colonies appear as ugly fuzzy patches of black, brown, yellow, pink, green, stinky growth on walls, basements, bathrooms… wherever moisture gathers. Mold could also be hidden in heating/cooling ducts, inside wall cavities, wet floors or carpets- all due to an unknown plumbing leak, roof leak, or ground water infiltration. Adverse health effects might include headache, fatigue, inflammation of eyes, throat, or skin and respiratory infections. Mold destroys the material it feeds on, such as dead cell wall particles- primarily what building materials are made of. The dreaded black toxic mold, everyone warns about, produces visions that technicians in hazmat suits will storm the property with sledge hammers to tear the drywall down. Try and let go of your fear- black toxic mold is more common in unoccupied homes where previous flooding occurred, and has stayed soaking wet for a week or more. Black toxic mold colonies are also found hidden inside wall cavities fed by a consistent plumbing or roof leak, but for the most part people living in these homes will realize something is amiss before a black toxic mold colony takes over- though a less dangerous mold colony might be growing. Mold growth, no matter the species, found in homes, businesses, hospitals, and schools should be eliminated for the sake of humans or pets’ health, structural integrity of the dwelling, and quality of life. Mold Remediation doesn’t have to be accomplished with a costly demolition. Technical advances in the last several years have helped developed a EPA- registered spray of a special blend of enzymes as a non-invasive alternative method of mold remediation. Free, No Commitments, Mold and Moisture Assessment. The Journey to a cure begins with a call to ECO Mold Remediation to request a mold and moisture inspection. Our ECO Mold Remediation experts will arrive at your home or business to perform a visual mold assessment. They will listen to your suspicions of where you think the mold is, take a walkthrough of your property and get a brief history of the dwelling. They will check for indications of past or present flooding, crawl space moisture problems and will examine the home’s ventilation. With the use of infrared technology and moisture readings, the visual inspection will attempt to identify where the moisture issues are and the causal agent. Use of the infrared camera, a thermal imaging tool, will not precisely find mold but detects temperature variations, such as a cold spot behind a wall that may indicate a hidden moisture intrusion from a plumbing or roof leak. Depending upon the outcome of the Mold Audit, arrangement for an optional Pre-remediation mold testing will be scheduled or you can contract your own service company to perform the task. 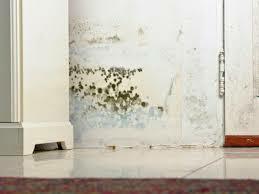 When the mold is visible, for example upon a wall in your walkout or basement, barring any other hidden pockets of mold colonies, our ECO Mold Remediation process will kill the visible mold colonies without the added expense of air sampling or testing of mold samples for species identification. The truth about those mold testing kits that you can buy on-line or in some home stores. 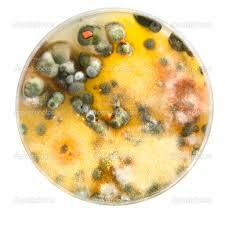 Mold is everywhere existing from the start of the world as one of the fundamental bio decomposers in nature. All homes have small amounts of mold spores floating through the atmosphere and all they require is moisture to grow. Thus, when a “for home use” mold petri dish test shows positive for molds spores it is not telling you anything useful as you already know mold spores are present everywhere. A more useful test would not only test the troubled location but also the immediate non-infected area, either indoors or outdoors, to compare. Both tests can be compared by sending the samples to the company that sold the test for optional further testing. Should the test results show different species of mold in each area, it would confirm a mold problem. Visual inspection by a professional mold inspector trained in building sciences and mold inspections is more likely to find the source of the problem then someone not educated or trained in mold remediation using mold petri dish test kits. Find the moisture, mold can’t thrive without it, by conducting a Visual Mold Assessment and an Optional Air Quality Test- usually when the mold is not visible. Mold Remediation following IICRC Standards. Stop the Moisture leak. Contain Contaminated area for treatment. Apply a penetrating plant based solution of enzymes- applied in a penetrating fine mist that will seek out and destroy mold colonies. The product has been designed to follow Mold colonies deep into walls. Optional Post-Test to confirm Mold is Gone! A dead mold spore will still cause allergic reactions which is why when removing the contamination, a combination of air scrubbers, negative air containment and HEPA vacuuming, all of which ensnares mold spores, will be used. We are a Mold Remediation service that combines the protocols and guidelines from the ANSI/IICRC, plus a plant based disinfectant/fungicide that kills bacteria and molds. 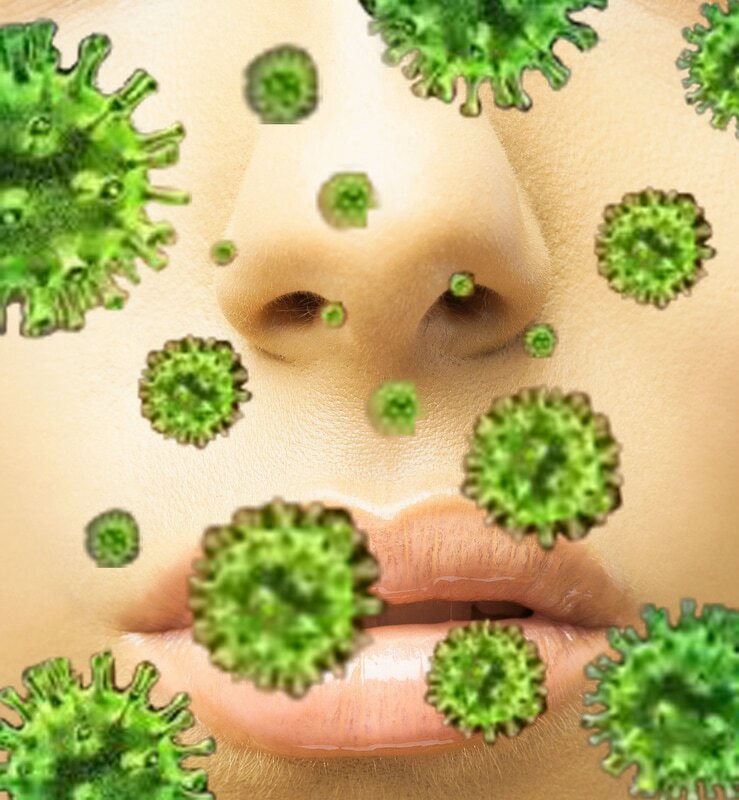 A combination which moves us beyond other methodologies to continue the mold’s destruction by breaking down the allergenic protein structures within the mold spore into harmless amino acids- no more allergies. Lastly, the application of the environmentally friendly, EPA-Registered mold destroying product is safe for children and pets. Mold and mildew are types of fungi that are alike in many ways, such as they both produce distinct offensive odors that can cause respiratory ailments. However, their appearance is different: Mold is 3 dimensional, usually somewhat fuzzy and appears in shades of black, red, blue, and green and mildew appears in 2 dimensional grey and white patches with a powdery texture. Our protocol is effective with both mold and mildew. When you contact the experts at ECO Mold Remediation, we’ll send a technician for a Free, No Commitments, Mold and Moisture Assessment. After the mold/mildew assessment, we will develop the written itemized quote for treatment. Several odors can foul up your living space, such as smoke, cigarette smoke, animal urine, and spicy cooking and it can be very embarrassing to have guests over as invariably someone will ask “What’s that Smell?”. You don’t have to stop having guests come over because of the bad smell! Eco Mold Remediation can take the odor away with the use of a fine mist spray that delivers fast broad spectrum control by neutralizing odor causing molecules. The mist penetrates and treats not only soft fabrics and porous material that odors cling too, but building material, such as drywall, woodwork, and carpet that the odor may have also deeply penetrated. Our fire and smoke odor removal products are InterNACHI approved. InterNACHI’s (International Association of Certified Home Inspectors) has been awarded hundreds of approvals, recognition, and accreditation for its curriculum, instructors, courses, and exams. are often asked to suggest Mold Remediation service for their clients. It would streamline your response to these clients to have a well-respected licensed and insured company, such as ECO Mold Remediation on speed dial to assure your clients you intend to seek the maximum amount in a sale that the property can generate. Many people seeking property will not even consider a smelly home because they know something is very wrong and fear a large price tag for remediation. However, they don’t realize that it might be fixed for substantially less than a demolition type mold remediation. We can provide you with a written estimate for a mold remediation that you can offer to the prospective property buyers. We can also provide the property owners with a way to maximize the property’s sale outcome by repairing an obvious health issue with the property. will often write out a valuation for repair work on home inspection documents as a courtesy to their clients, the prospective home buyer. Thus, being able to supply them with a quoted price for mold remediation will give your clients important information, and allow you to be more thorough on the inspection documents. with mold infested property, occupied by tenants, are liable to face lawsuits brought forward by the tenants as victims of mold related illness: Failure to disclose mold infestation before victim took possession; Negligence if reasonable care was not taken to keep the property clear of mold infestation; Occupational Safety and Health Act (OSHA) violation- if property is a place of business. Mold Remediation will not only bring the property into a healthy state for occupation but also give no cause for lawsuits.